Songs hold importance in the Bollywood movies as well as Indian daily soaps. The TV show producers never compromise with the title track of the show. She keeps it original that suits the theme of the show. Some of the Title tracks of TV Shows are so pleasant that they make it to our favorite list. Today we have brought you some of the melodious Title tracks of popular TV shows. The title song of ‘Kuch Rang Pyar Ke Aise Bhi’ is sung by Indian Idol contestant Antara Mitra. Fans showed a huge support to the song. The heart touching and romantic lyrics please everyone. The song was sung by Jubin Nautiyal. A lot of times, the song was played in the background and that escalated the excitement of the viewers for sure. 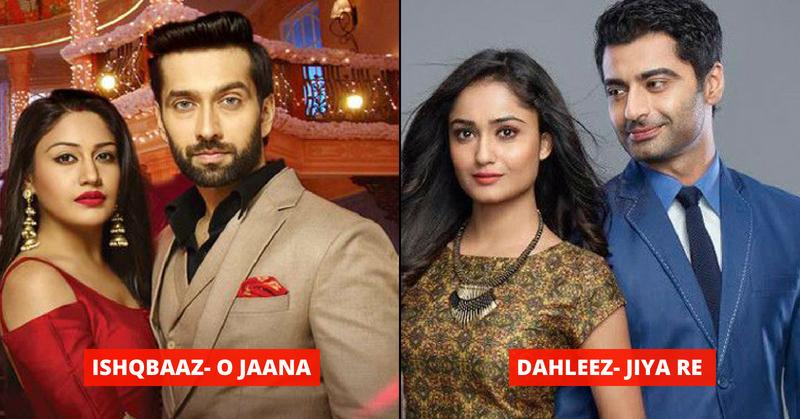 Ishqbaaz is one of the most popular shows. Moreover, the theme song of the show is highly adored. Titled as “O Jaana” the song has been viewed more than 15 Million times on YouTube. The theme song of ‘Dil Sambhal Ja Zara’ is titled as ‘Jeene Bhi De’. The lyrics make us feel like the pain of the lovers has been verbalized. Due to the romantic approach of the song, it has crossed more than 40 Million views on YouTube. The title track of Bepannaah encompasses heart touching lyrics. It is easy to relate those to the life of the lead characters. Two people who find love after being deceived by their ex-partners. The theme song of the show was introduced in the promo of the show before it was aired. The song caught everyone’s attention with its lyrics and the melodious music. What do you think about these songs? Tell us in the comments. Also, check everyone is craving for the comeback of these TV shows.